The first »Follow a Theatre Day« is started and we celebrate the Theatre Day on 27th of March 2014. Thousands of theaters & operas are tweeting and posting in social networks – she telling and reflecting our culture and society. What is the »Follow a Theatre Day«? Many major and also smaller theaters and operas are represented on twitter. They show us our mind and inspire us daily new. With their different stagings and shows, they also provide a new possible insight on our life. We can either agree or discuss with theatre directors/ choreographers/ theatre maker approach and ask questions by simply sending a tweet to a theatre. The »Follow a Theatre Day« is like a World Theatre Day (March 27) and on the social network. Follow the hashtag #followatheatre and MT/ RT on your SoMe account! 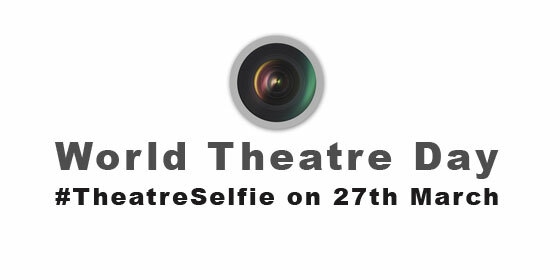 Make your #TheatreSelfie on World Theatre Day! Post your theatre pictures using the tag (#theatreselfie) on March 27th! How important are theatres and operas to you? On March 27th 2014 we want you to spread the word about theatre on social networks.